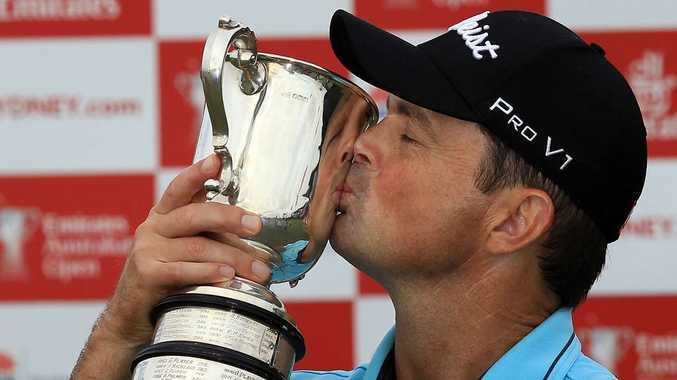 AUSTRALIAN golf's man of the moment Greg Chalmers has failed to claim a direct entry into next year's US Masters. The Australian and PGA champion catapulted himself into the world's top 60 players with a strong finish to the year, but fell ten spots short of automatic inclusion into the year's first major. Only the top 50 in the world at the year's end gain automatic selection for the Masters. Chalmers has only played at the famed Augusta course once (2001) and will need to once again finish in the world's top 50 come April next year to return to one of golf's great tournaments. Robert Allenby (59th in the world) is also in danger of missing the Masters, but fellow Australians Adam Scott (5th), Jason Day (8th), Geoff Ogilvy (36th), John Senden (43rd) and Aaron Baddeley (46th) have all secured their Masters' spots.